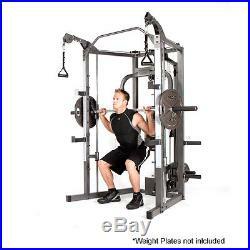 Marcy Smith Machine Home Gym – SM-4008 Weight Training Circuit Cage System. 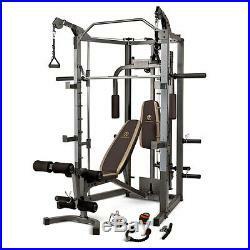 Get serious about getting in shape with the Marcy SM-4008 Combo Smith Machine. This all-in-one, home gym equipment power house, offers everything you need to tone and strengthen all major muscle groups. 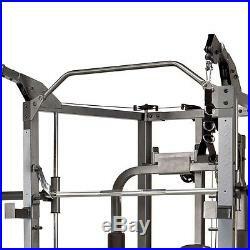 Versatile – Comprehensive Exercise Options A Smith-style press bar with adjustable safety stops allows you to perform a variety of powerful strength training workouts. 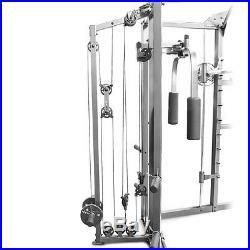 An independent motion upper pulley system allows for cable crossover possibilities, a pull-up bar allows you to bulk up your upper body, a total leg developer allows you to strengthen major lower body muscle groups and a multi-position back pad offers a safe and customizable training experience. 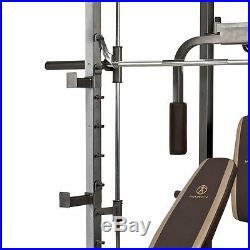 Solid Construction Made of 14-gauge square steel tubing, the Marcy Combo Smith Machine offers a total body workout in a safe and comfortable setting while four convenient storage posts make it easier than ever to organize your Olympic weight plates. Full Body Workout: All-in-one gym equipment. Multi-Functional: Target different body parts. 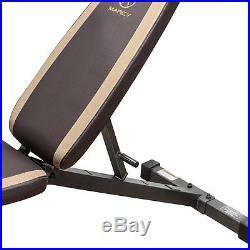 Highly Adjustable : Versatile and removable bench gives a full range of strength exercises, multiple different positions including incline, flat, and decline chest press positions. Cage assembled dimensions: 65 x 79 ¼ x 84 ½. Bench assembled dimensions: 68 ¼ x 26 x 45 ½. Durable and Safe: 14-gauge square steel tubing. An adjustable back pad allows you to work your upper body from a variety of different angles while remaining safe and comfortable. A top notch cable system allows you to work your chest and shoulders through various crossover workouts. The included V bar, shiver bar, triceps rope, chain link, ankle strap and two handles offer even more customizable workout options. 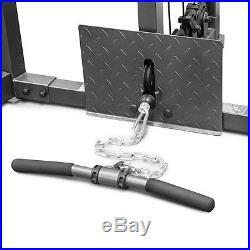 Conveniently placed safety catches allow for a safe and efficient strength training workout. Two cross pulleys make it easy to perform a number of crossover workouts in the comfort of your own home. A bottom pulley allows you to train your lower body even harder while a conveniently placed foot plate prevents damage and injury. A total leg developer offers a safe and comfortable method for bulking up all major lower body muscles. Four conveniently placed storage posts (two on each side) offer a great way to organize and store your Olympic weight plates. A sturdy pull-up bar allows you to use your own body weight to strengthen your shoulders, arms and back. 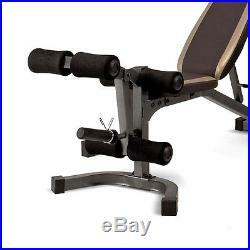 Use the multi-function bench independently with dumbbells (not included) or in combination with the smith-style system. If you failed to submit a number along with your address, please immediately message us directly. Please inspect your order before signing for it. If there is damage or your order seems incomplete, ask the driver to notate it before signing and let us know. 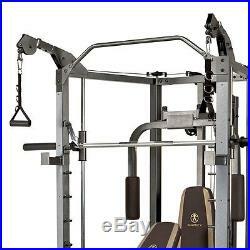 The item “Marcy Home Gym Smith Machine SM-4008 Weight Training Circuit Cage System Combo” is in sale since Monday, May 15, 2017. 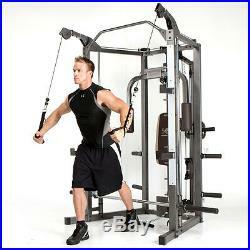 This item is in the category “Sporting Goods\Fitness, Running & Yoga\Strength Training\Power Racks & Smith Machines”. 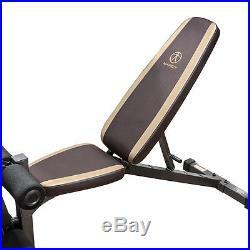 The seller is “californiafitnessproduct” and is located in Pomona, California. This item can be shipped to United States.